Discover Pearl's impressive Modern Utility snares! Pearl is one of the largest drum brands in the world. They have an excellent reputation in terms of quality drum sets and snare drums. 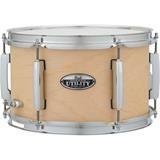 The latest addition to the already impressive range of snare drums are the Modern Utility series. 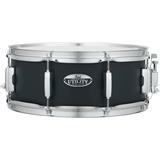 These snares, available in 7 different models, are a serious "Bang-for-your-buck". Built with excellent materials and quality that we are used to from Pearl but with a very attractive price tag. In the Pearl line-up these snares are just above the Export and Decade models but they could just as well be next to the Sensitone or Masters. With the Modern Utility snares from Pearl you get a reliable workhorse which you can count on gig after gig to lead the band wherever you want!